A stay in Bed-and-Breakfast Quinta do Eco means peace, comfort and relaxation. Vila de Rei seems to a peninsula, as it is surrounded by three rivers. In the north the Isna, in the south the Codes and in the west the River Zêzere, with on of the biggest dams in Europe. These rivers have different beaches, swimming areas, picknik locations with BBQ's and sports facilities. There are a lot of things to do: mountain biking, climbing, swimming, fishing, hiking (with or without marked trails) as well as kayaking. One can also look for fossils, go on pilgrimage to Fatima, visit the castle of the Templars in Tomar, have a drink in a cafe or visit the market, but especially enjoy the tranquility, the view and your holiday! There are two big rooms on the first floor, with private bathroom (shower, washbasin, bidet, toilet). 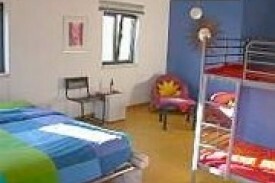 The rooms have a double bed and a bunk bed. In each room, there’s a cozy sitting area, central heating, TV with DVD, Wifi, radio, books and board games. We have a small room on the ground floor whitch has a bathroom, a double bed and a sitting area. The rooms have direct access to the terrace with outside kitchen + room with fridge and TV. 65 € per per night for 2 people, including breakfast. 75 € for 3 people in the same room, 85 € for 4 people in teh same room. We have a restaurant in Vila de Rei. Other restaurants: Cardigos (5km), Vila de Rei (12km), Sertã (15km). Well-educated animals are allowed. Please inform us. Keep in mind that we have pets. 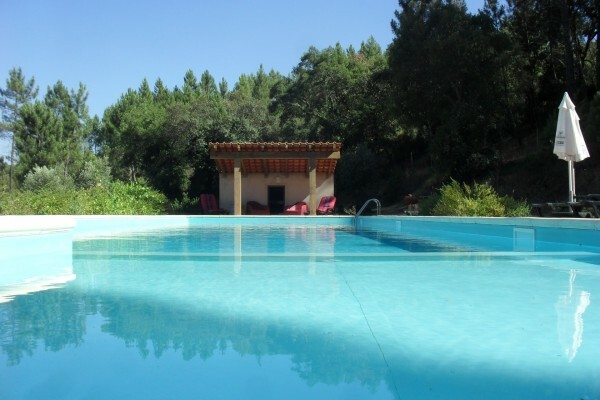 Did you stay in Quinta do Eco? Let us know what you thought about it and help others to make the right choice! * I confirm having stayed in Quinta do Eco. 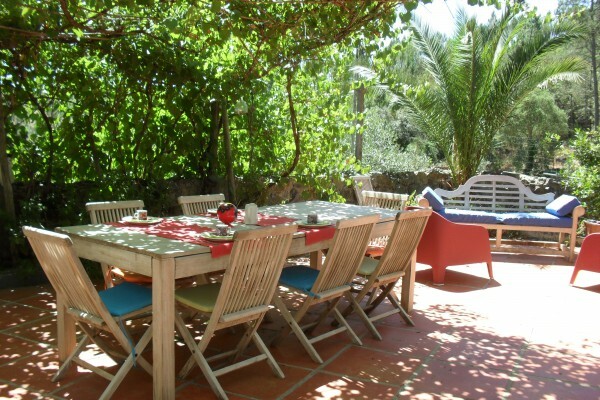 Find other bed & breakfasts in São João do Peso or all bed & breakfasts in Centro.